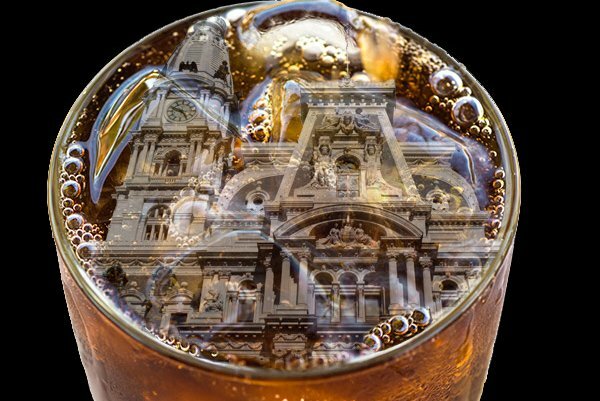 Whether you support or despise the Philadelphia “soda tax” – Mayor Jim Kenney’s initiative to place a 1.5-cent-per-ounce charge on sugary drinks purchased in the city – one thing rings true, according to a new report out of Drexel University: the tax has kept Philadelphians from consuming soda every day. After surveying nearly 900 people immediately before and after the tax was implemented in 2017, researchers found that Philadelphians were 40 percent less likely to drink sugary soda every day compared to residents of nearby cities including Trenton, Camden and Wilmington. With the decline in soda consumption comes a rise in water consumption. Philly residents were 58 percent more likely to drink bottled water each day, the report said. The study is the first to observe how the tax influences the health of consumers, as opposed to the role it’s playing for stores' sales. What’s also interesting is that, despite drinks such as Snapple or Sunny Delight being taxed, it was only sugary sodas that saw the decline in consumption. “Those drinks may be viewed as healthier than soda despite having the same amount of added sugar,” said study co-author Amy Auchincloss in a press release. Nonetheless, Auchincloss notes, the extra calories from sugary drinks are linked to weight gain and, more concerning, are linked to higher risk for type-2 diabetes, heart disease and tooth decay. Check out the full study in the American Journal of Preventive Medicine here.